fter you install the application please make sure you set all your permissions to allow or the app may not work correctly. 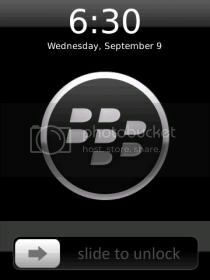 As you probably know RIM's default lock is rather sluggish and boring. That's where BerrySlider comes into play. The Screen Fades Out: When ever your screen fades out and you click the screen to turn it back on you will be presented with the Slider. You will have to slide to unlock your phone. Application options are located on options.